We are engaged in providing Remote Sensing Service to our clients. These Remote Sensing Service is an art & science that helps in measuring the earth and acquiring the information about various earth objects using sensors on the satellites or air-planes. Our Remote Sensing Services is being rendered by using advanced software. These are extensively appreciated for their timely finishing and reliability. Our services can be altered as per the changing necessities and needs of our patrons. 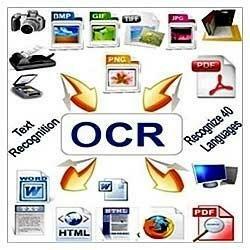 Besides, we offer these services at pocket friendly rate. Remote sensing is one of a suite of tools available to land managers that provides up-to-date, detailed information about land condition. Remote sensing uses instruments mounted on satellites or in planes to produce images or 'scenes' of the Earth's surface. 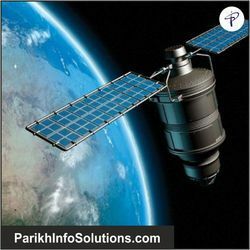 Remote Sensing is the science and art of acquiring information (spectral, spatial and temporal) about material objects, area or phenomenon under investigation, without coming into physical contact. Remote Sensing techniques have been used in many applications. In the area of land-use and land-cover, agriculture, soil mapping, forestry, city planning, archaeological investigations, military observation, and geomorphological surveying applications are the major users. - Land use/ land cover. NST's team can process, analyse and convert aerial and satellite images to generate thematic maps, Digital Elevation Model, cartographic quality maps, predictions and estimation (of crop production, forest stock and so on) and generate perspectives of systematic change. Being an eminent company, we are involved in rendering Remote Sensing Service.